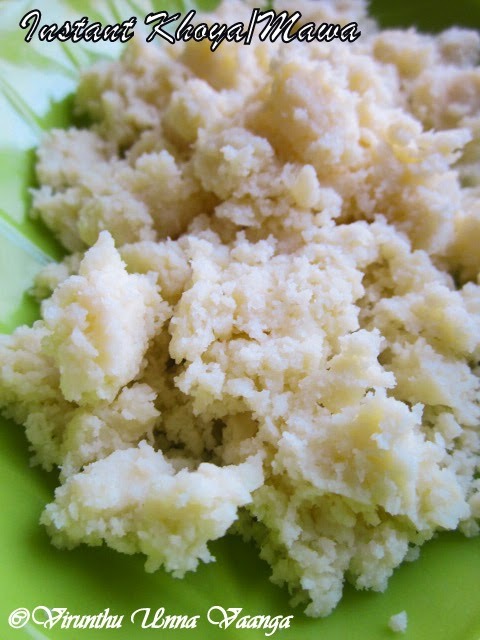 Mostly, kova/khoya/mawa is used to make many sweets. 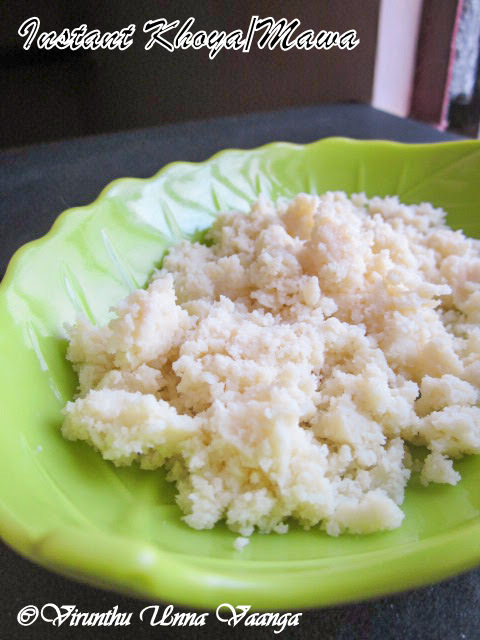 But making khoya at home is really tedious and times consume process, right?? Yes!! So we can’t make at home often, surely it will take good amount of gas and time for making khoya, or we should buy from the shop. 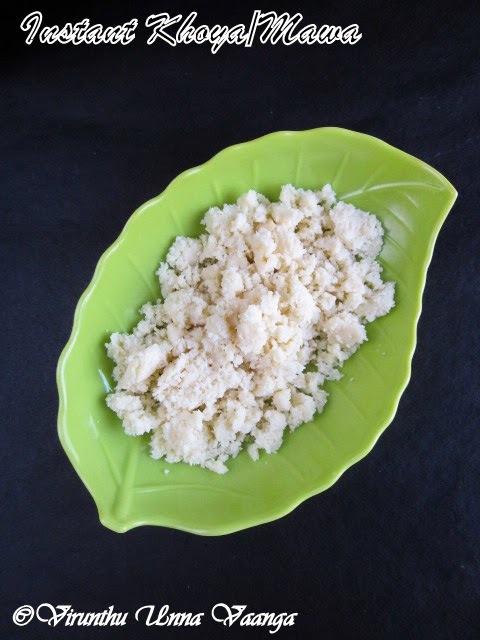 Sometimes, store bought khoya will be demand. In such case, what should do for it??? No worries, you can make it in 15 minutes… Am sure it will be very useful and you too love the technique. Take a bowl adds milk powder and add water little by little and stir it with spatula till combines well. 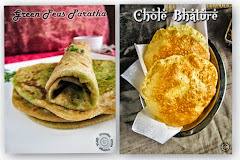 It’s like chapathi dough consistency not tight but loose. Add few drops of ghee and knead it and transfer the dough into the muslin cloth. Then tie the ends of the cloth to form bundle. Steam it in steamer or idli cooker for 10 minutes and switch off the flame. 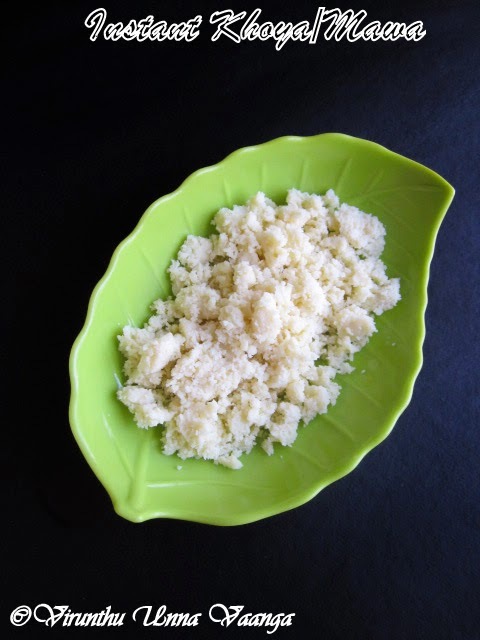 Cool down completely and take the khoya and use it for your sweet. Store it in air-tight container after cools completely. You can replace water with milk too. Add water little by little, milk powder does not absorb more water. 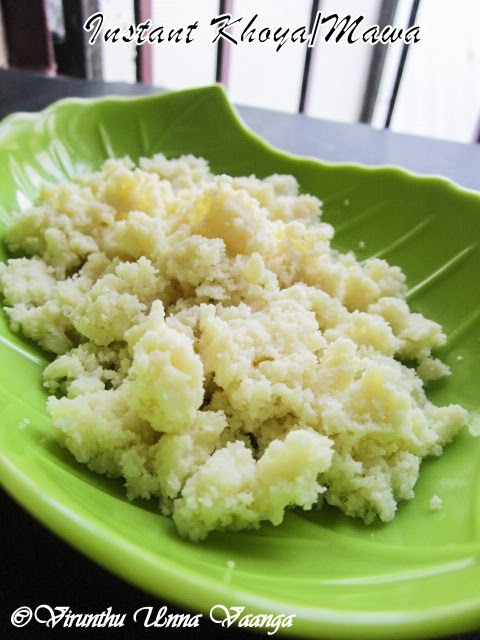 Ghee is used for non-stickiness; you can use few drops of oil too instead of ghee. READY TO MAKE YOUR FAVORITE SWEETS!!! This is so useful. 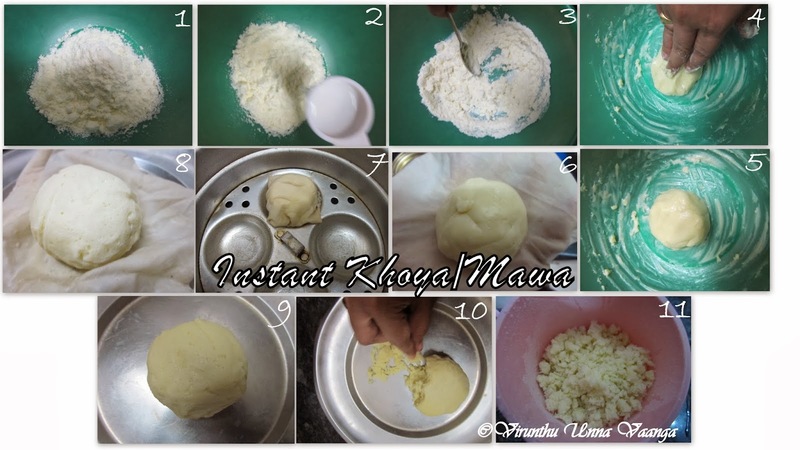 Very handy in preparations that call for khoya. 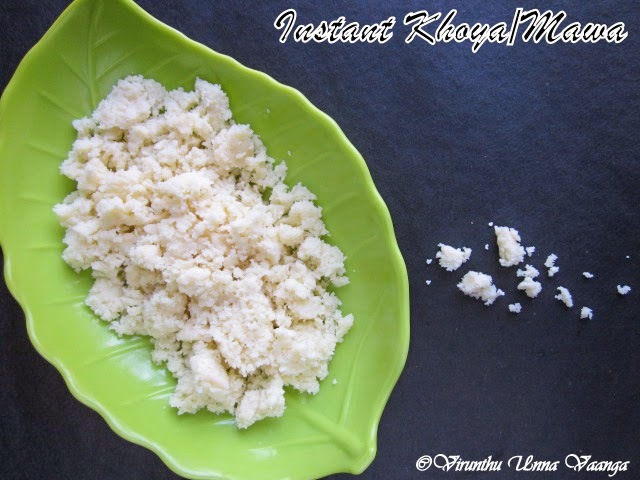 Do you have a soft khoya preparation too using milk powder??? 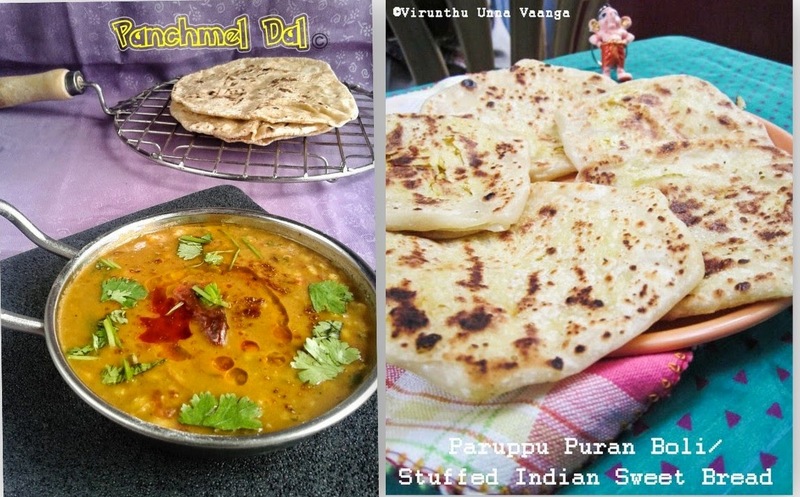 Fantastic and very useful post, super Viji. very very useful post and milk khova looks exactly the same :) love this quick version !! can u please tell me the brand of milk powder to be used. I used Everyday of Nestle by its too sweet.